It’s December 26 and nationals are only about 2 weeks away! Luckily I’ve gotten a lot done in the past 2 weeks so things are looking good at this point. If you’ve missed part 001 or part 002 and want to have a complete reading of this short series just check the links provided otherwise, just read on. Right after the last post the first thing I did was jump on the wheels. I want to have maximum glue drying time as well as time to replace anything that might need replacing. Cleaning a bike or bike parts is the best time to identify anything broken or worn out. The top racers don’t always have clean bikes because they want to show them off (Though this is a good strategy to make sponsors happy too) it’s as much a testament to maintenance as anything. First I make sure all the brake rotors and cassettes are removed, and when they are I’ll give the rims, hubs tires and spokes a wash with WD40bike foaming bike wash. A nice side benefit of using this WD40 product is that it foams up so well that IF you have any slow leaks in any of your tires this stuff will usually help you spot it right away as it will foam up right at the spot of the air leak. As each wheel is cleaned off I do a check of the glue at this point. With little or no pressure in the tire I simply try to roll it back by hand all the way around the wheel to see if there is any point where the tire separates from the rim. With all the wheels checked it’s time to re glue the punctured tire from the Indy race. 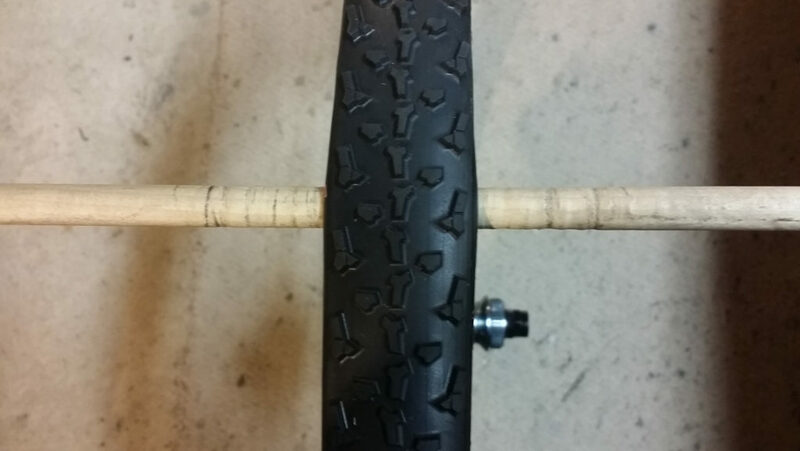 The technique I use to remove a tubular is to force a small part of the tire off the rime and then use a small diameter dowel to pull straight back and up, pulling the tire off the rim. There are probably as many theories about re gluing a tire as there are mechanics. 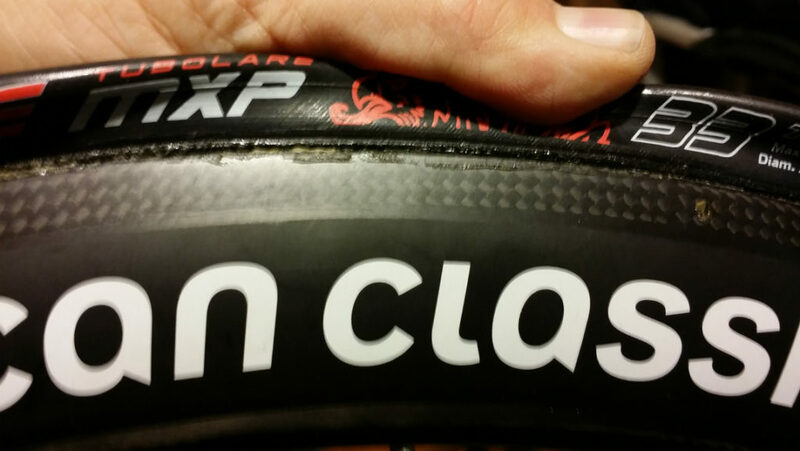 With this specific tire I am not going to remove all the glue that is on the rim. 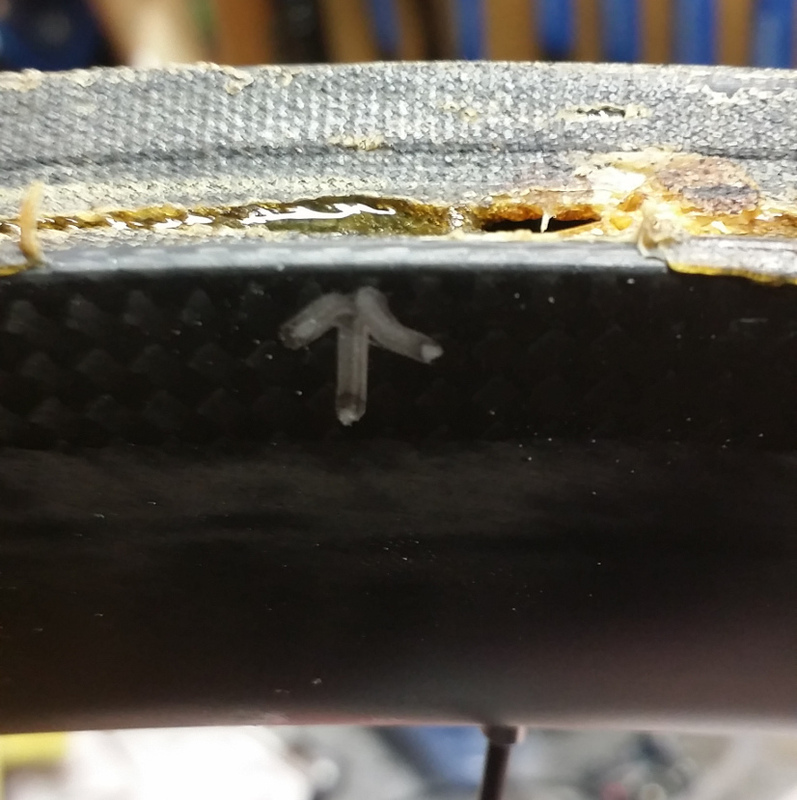 This tire was glued about six weeks ago so the glue is not at all old and is still providing a great base layer for the tire. I will put a few preliminary thin layers of glue on any spots that have completely lost all their glue when the tire was removed, then I will lay down a fresh layer, all the way around the rim; as well as a fresh layer on the tire, then a set up layer when I put the whole thing together. Remember these are THIN layers of glue that are allowed to dry. 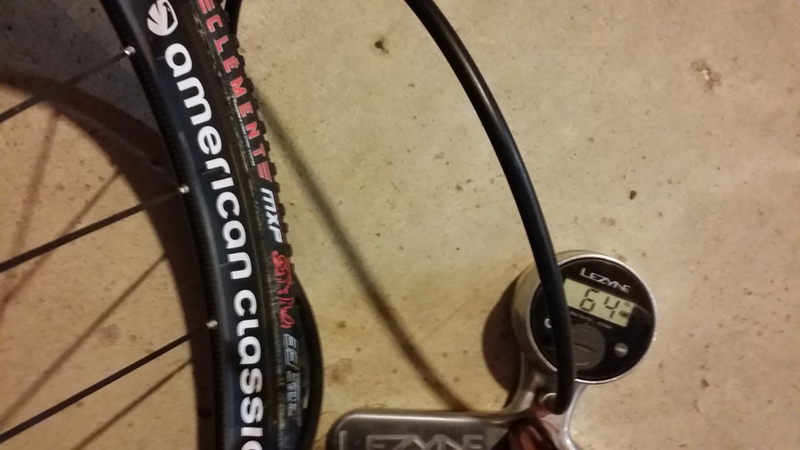 Now with that rim glue drying I’m going to go back to all the rest of the wheels that are all looking good and clean and I’m going to inflate them to the max pressure for Clement tires of 65psi. The reason I like to do this is I will let them hang on the hooks overnight with this max pressure and that makes it MUCH easier to identify if one of them has a leak. 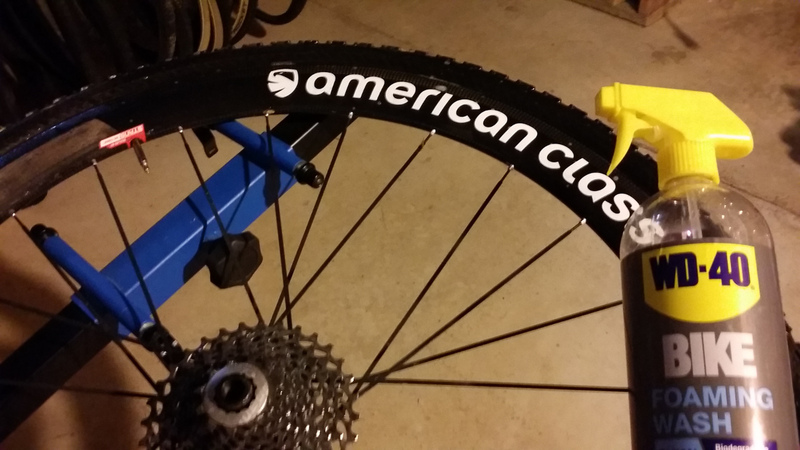 With the wheels almost done it’s time to move on to putting the drivetrain back together. The Easton Cinch system is a dream to work with in the shop and makes changing rings at the race much easier as well. Always try to make your life easier when possible! Use the pedal and crank arm as support and the Cinch nut is much easier to remove. I really like the fact that this system uses the Shimano 22 tooth tool to remove and install. It’s a tool we almost all have at least one of already so one less tool that you need to buy. 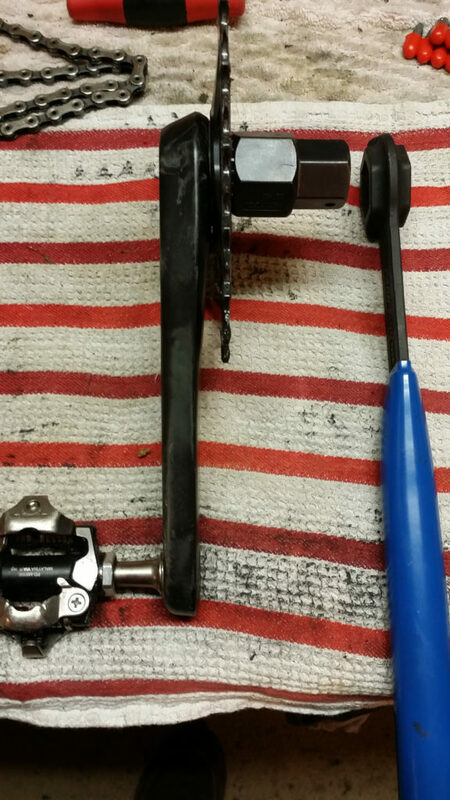 With the ring removed it’s time to take the pedals off for cleaning and inspection. 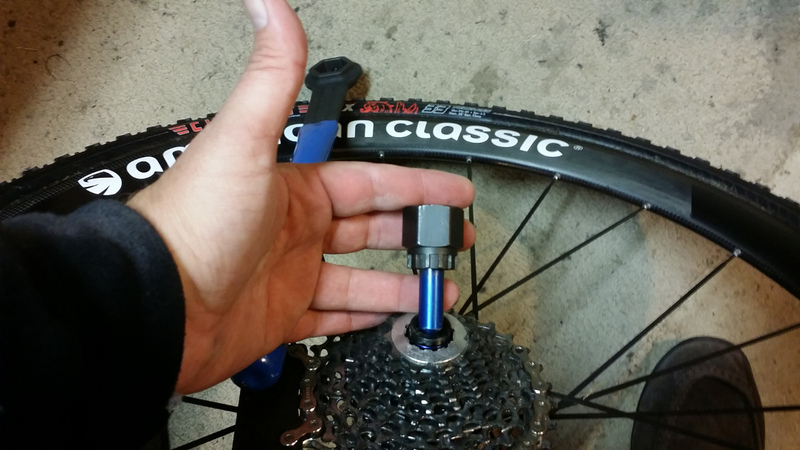 And for this you can use the same process, use the crank arm as a lever and make your life easier. With everything off the crank arms (almost) I’ll check the extracting bolt. 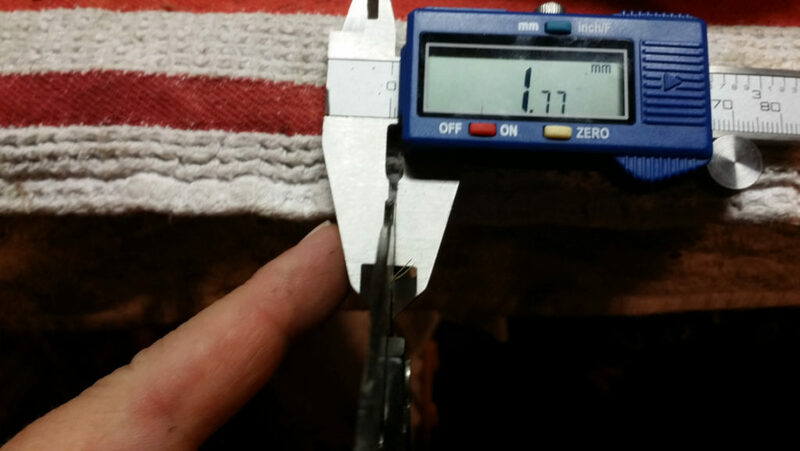 Just a note here that you might need a 16mm wrench to do this and that is something you might need to purchase individually as many wrench sets do not go up to 16mm. 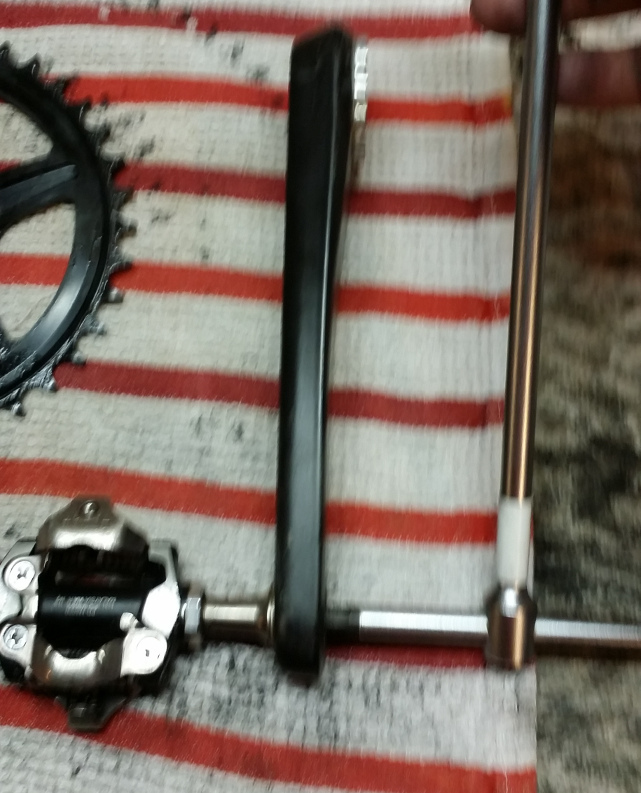 Then it is simply a matter of cleaning, inspecting, and oiling the crank arms, pedals, rings, spindle, seals and putting it all back together…for both bikes. Next! It’s time to press the new bearings back into the BB. This is actually pretty straight forward. When pressing the bearings you always want to do it with the outside race if possible to avoid pressure on the balls themselves. I did this in two steps. 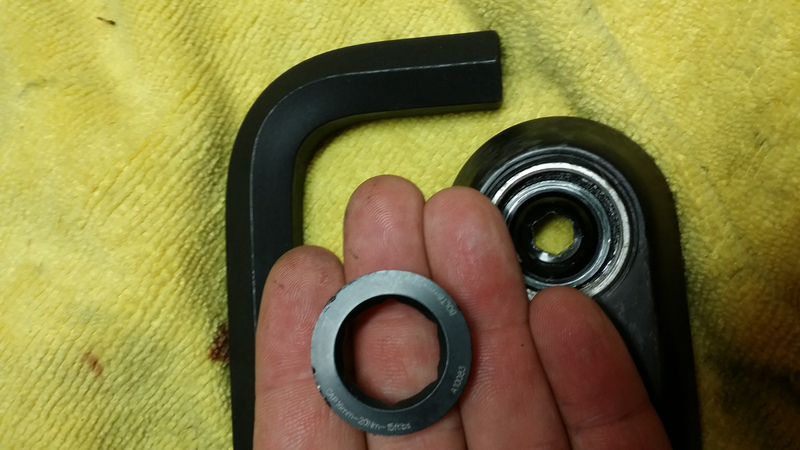 Above I pressed the bearing into the cup using the standard park tool. This will only press these flush with the cup however and they actually need to be recessed a small amount into the cup. I then used the drift for this bearing to complete the job. If you didn’t have this you could simple flip the park variable drift around and complete the job by pressing on the inner race. This would be a better way to do it than to press it the entire way using the inner race. 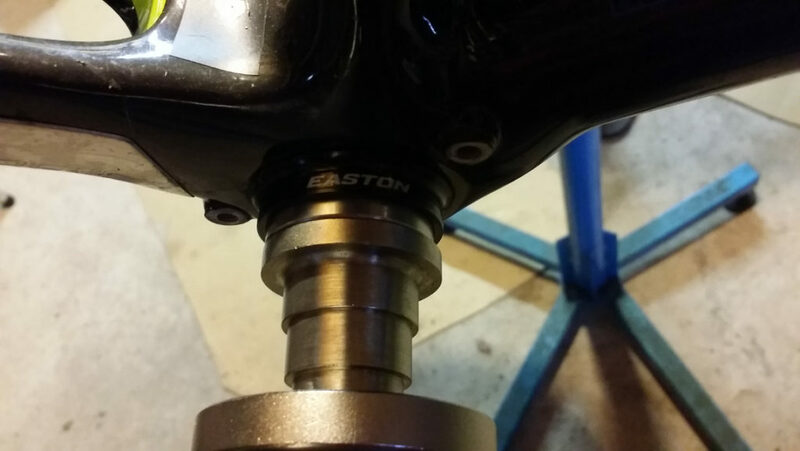 With the cranks back together and the new bearings pressed I can then just slide the crank back into the frame, torque it down and install the pedals. When installing pedals an easy technique if you don’t already know is to look at the pedal threads straight on. If the threads go UP to the left it’s the left pedal, if they go UP to the right it’s the right pedal. In this pic the pedal on the left is the right pedal and the pedal on the right is the left pedal. 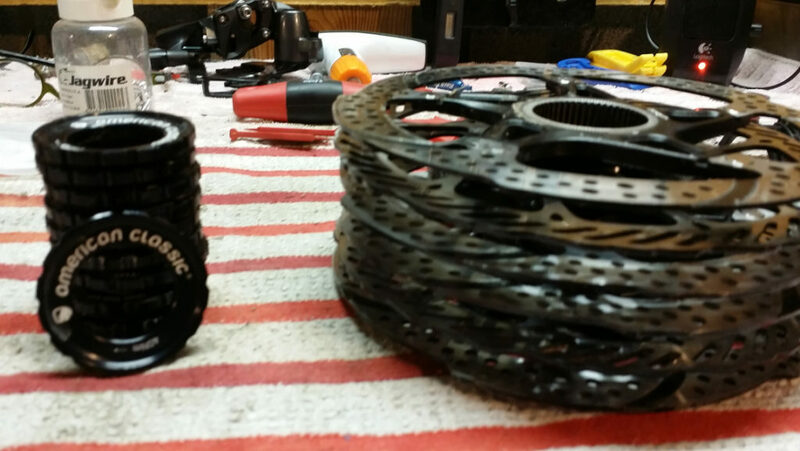 Then give the chains a cleaning and a measure to make sure they are not stretched and always use a new power link when putting the chain back together. I do save the “old” ones that I don’t mind using for a training bike ride etc, but for a race, especially Nats, I always use a new link. Another thing to do at this time is to clean and inspect all the brake rotors and center lock lockrings. Just inspect them for cracks or major thread damage and check the rotors for thickness. 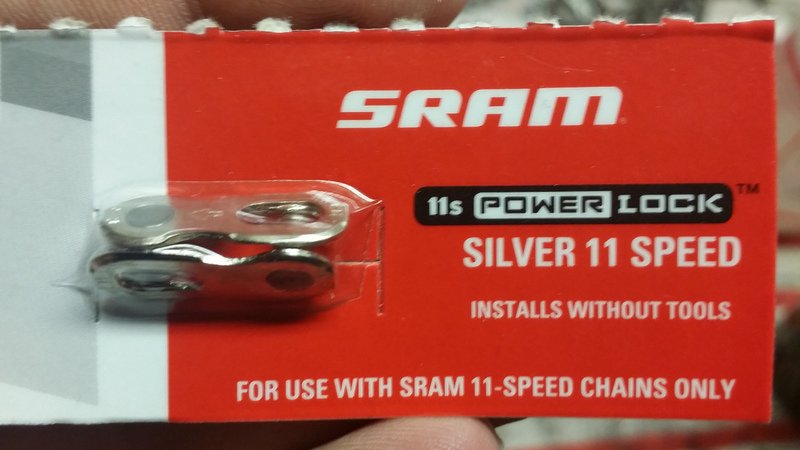 The SRAM spec is to replace rotors at 1.55mm of thickness so this one, as were all the others, is good to go. OK so at this point we are looking good! I have the tire to put on once the glue is dry and some cabling and cleaning and we will be set to go!! Tune in next time for the final part of my Nationals preparation for Courtenay’s bikes! As always questions are welcome and if you’re going to be at nationals and want to stop by and say hi let me know! Thanks for another great article! 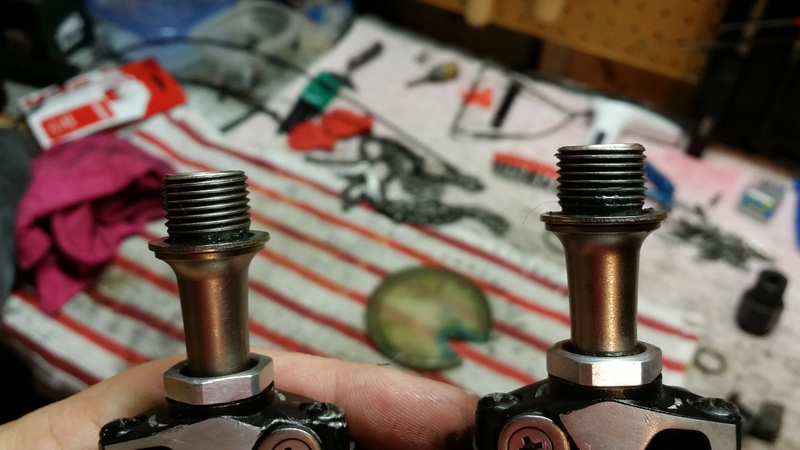 The pedal-threads tip is a good one. I like the Wheels Manufacturing BB drifts, as they’ll push the bearings all the way into a recessed BB like we have on our SuperXs. Really enjoying this series — it’s like a text version of the Bike Shop Show. Any racer would be lucky to have such a diligent mechanic. Yeah the park drifts will do that too and that’s what I used to do this but just wanted to show that it is possible to do it without them too. Thanks for following along! !